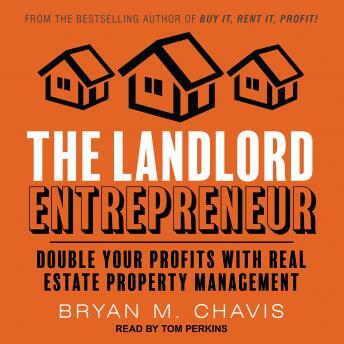 In his first book, real estate expert Bryan Chavis created the ultimate how-to guide for buying and managing rental properties, with practical, realistic ways to build lasting, long-term wealth. Now, he takes his acclaimed program one step further. The Landlord Entrepreneur shifts the focus from dealing exclusively with residential real estate to building a dynamic property management business. By following the step-by-step instructions in this new guide, anyone can create a fully functioning, professional property management company in only ten days. With Chavis's modern take on real estate, you will learn the five phases of property management and the skills needed to successfully move through them-as well as the hacks and tricks to build your profitable business from the ground up. Full of smart, practical business advice, The Landlord Entrepreneur is the only guide you need to become a successful property manager in today's real estate market.